In Landline, Rowell introduced a new element to her novel…science fiction ! Georgie is going through a troubled marriage, but she chooses to ignore it. The writer tries to explore this troubled relationship in a very funny, engaging way. She avoids the cliche and typical heartbroken moments which most novels are filled with. Instead, she examines how negligence can destroy a relationship..even if there is love. It is sad how can we take our beloved for granted, ignoring their sadness, ignoring how we neglect their needs while they are always there for us. Rowell has a unique way to touch those kinds of topics. In Landline, Georgie, the wife, who drifts away and away from her husband while at the same time she wants him to stick around forever. She cannot do anything without him, she feels empty in his absence, but she never stops to ask herself what does he feel in her absence. She wants to take…but she wasn’t ready to give. Neal, the husband, was ready to do all this for her and her kids. But of course, everything has a limit. It is good to read this kind of relationship from the other point of view; we always read about the drifted husband, but never the drifted wife. Rowell gives us this story…we all humans, we all do the same mistakes. Through her “magical” yellow landline telephone, Georgie got the chance to explore her marriage from the beginning…to correct the mistakes …to know where do her priorities lie. Georgie’s relationship with her friend, Seth, remind me of the relationship between Rosie and Alex in Love, Rosie. Two friends ..too much into their friendship that one doesn’t realize how much his/her friend is in love with him/her, although s/he in love too ! There goes the heartbreak, the sadness…but love. I loved Seth and Rosie, I loved their courage and sacrifice…I loved how human they are. 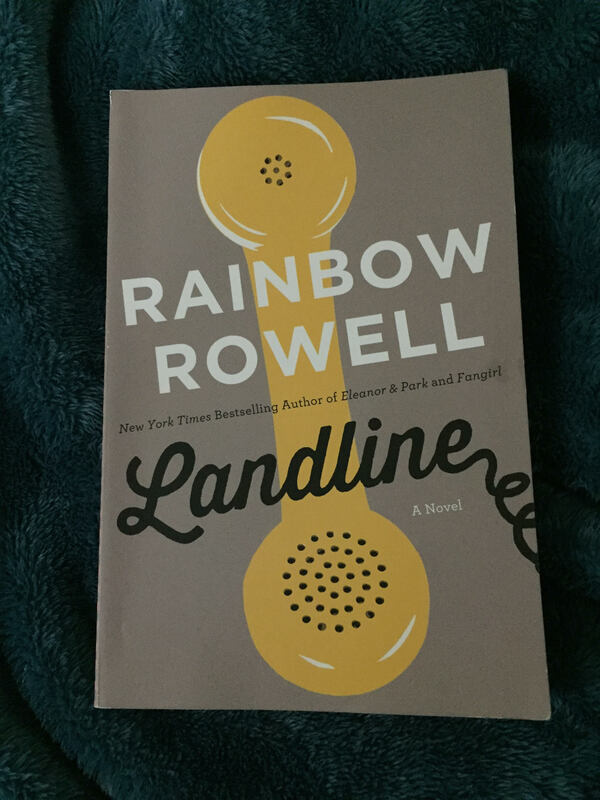 Landline takes me to another world with its element of science fiction…gives wings to my imagination to examine how my choices would effect my life…gives me a chance to evaluate my life…to realize I only have one life…so I have to choose carefully.